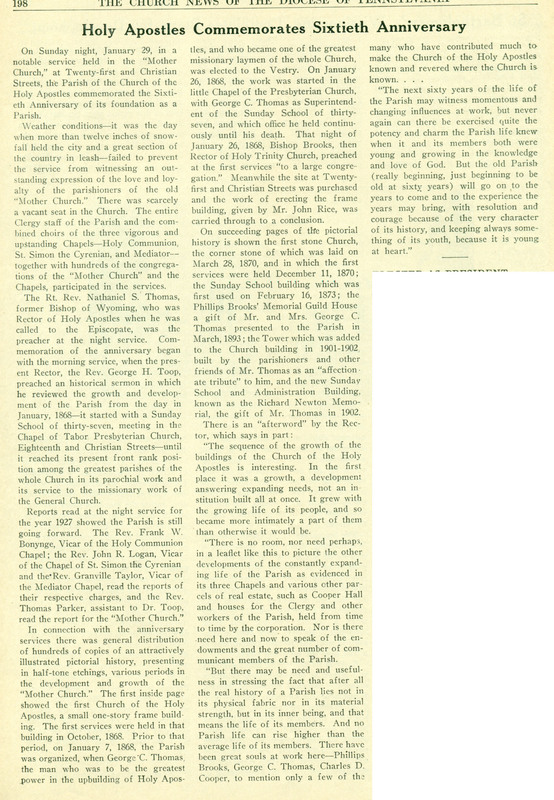 This entry was posted in Church of the Holy Apostles and tagged George H. Toop, South Philadelphia on February 10, 2018 by mjk38. 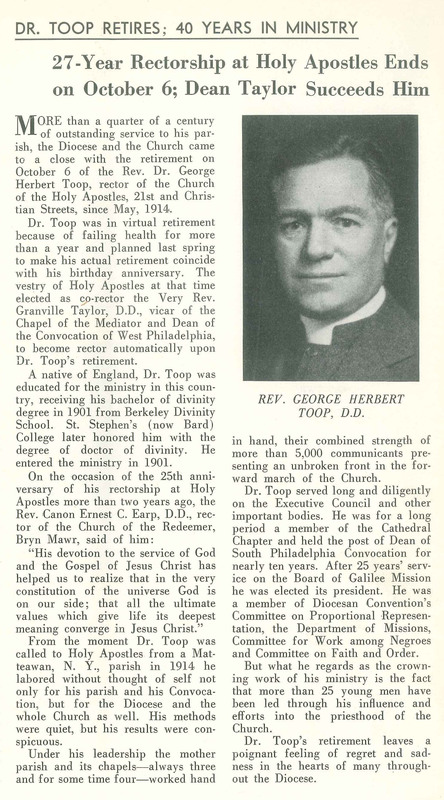 This entry was posted in Church of the Holy Apostles and tagged Archives of the Diocese of Pennsylvania, George H. Toop, South Philadelphia on February 10, 2018 by mjk38. 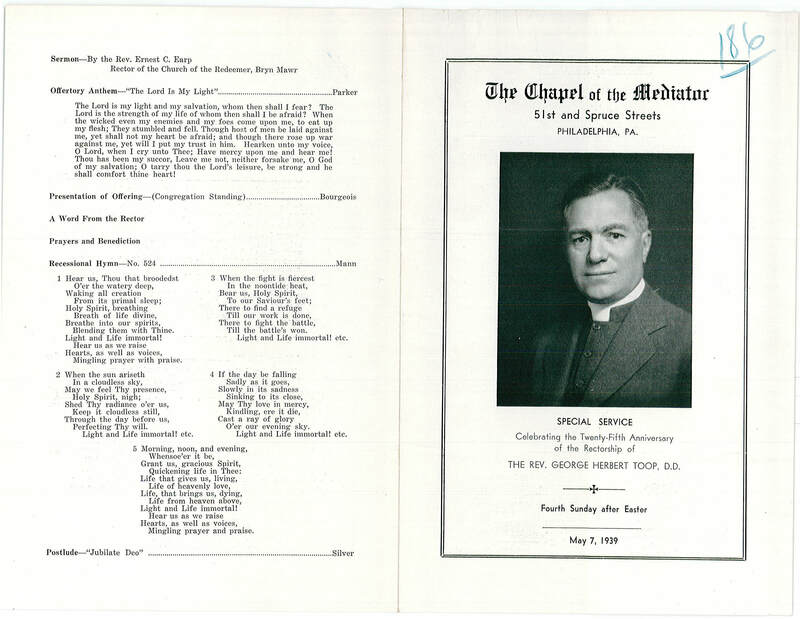 This entry was posted in Chapel of the Mediator (West Philadelphia), Church of the Holy Apostles and tagged Archives of the Diocese of Pennsylvania, George H. Toop, West Philadelphia on February 10, 2018 by mjk38. 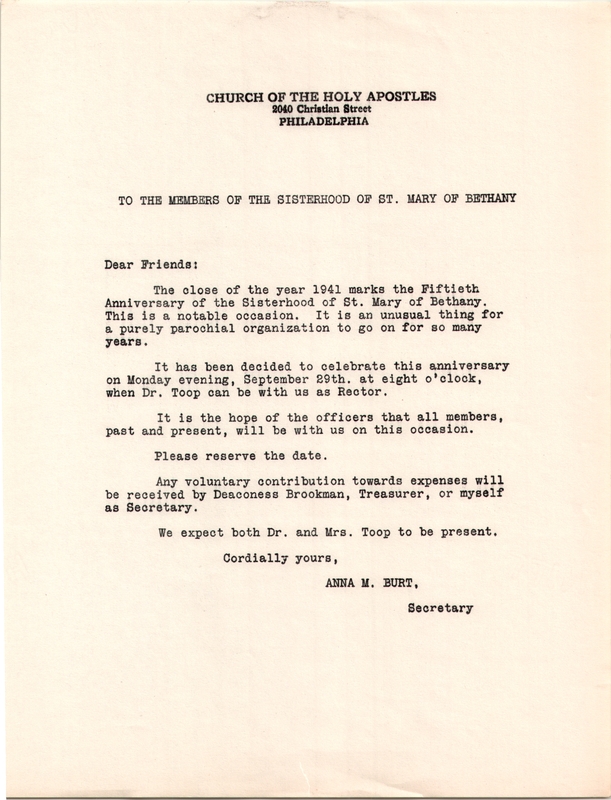 From the Archives of the Diocese of the Pennsylvania. 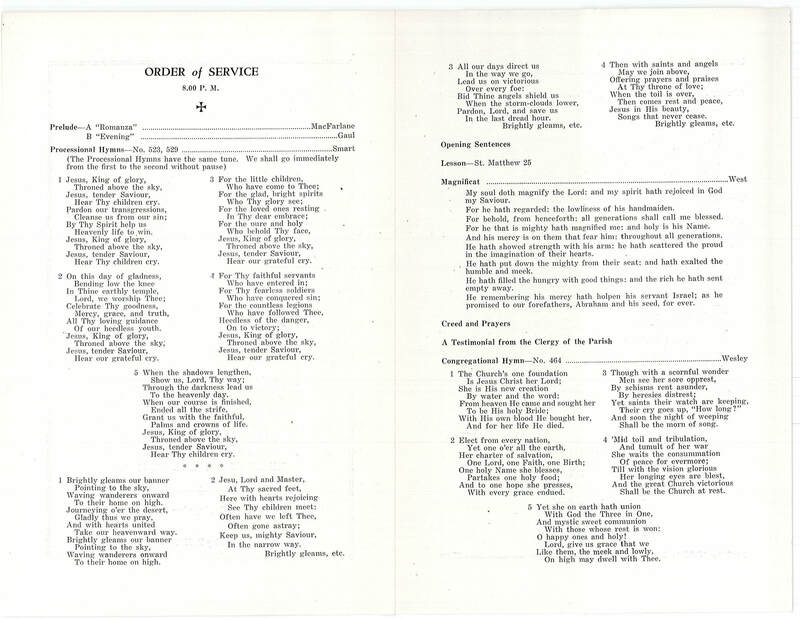 Click on the image to access the program. 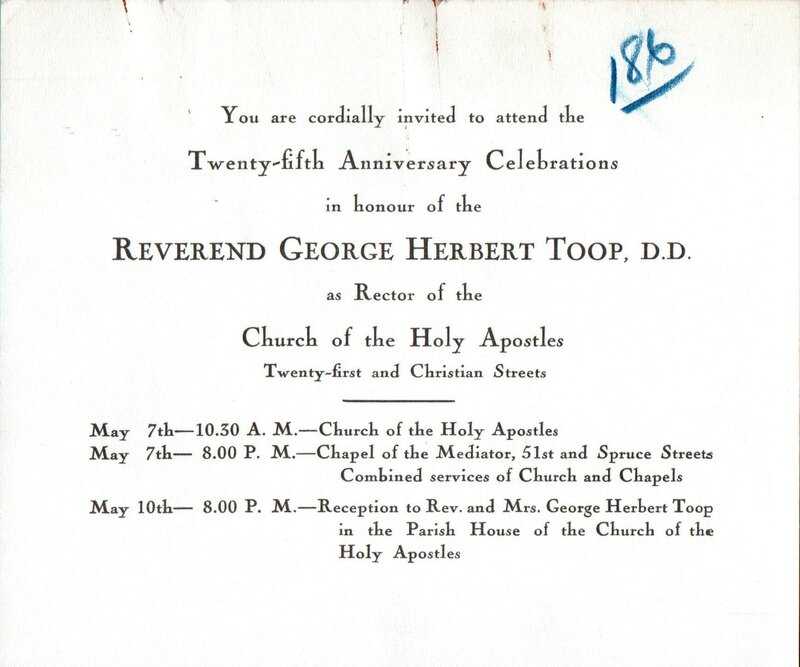 This entry was posted in Chapel of the Mediator (West Philadelphia), Church of the Holy Apostles and the Mediator and tagged George C. Thomas, George H. Toop, Philips Endicott Osgood, West Philadelphia on March 29, 2017 by mjk38. 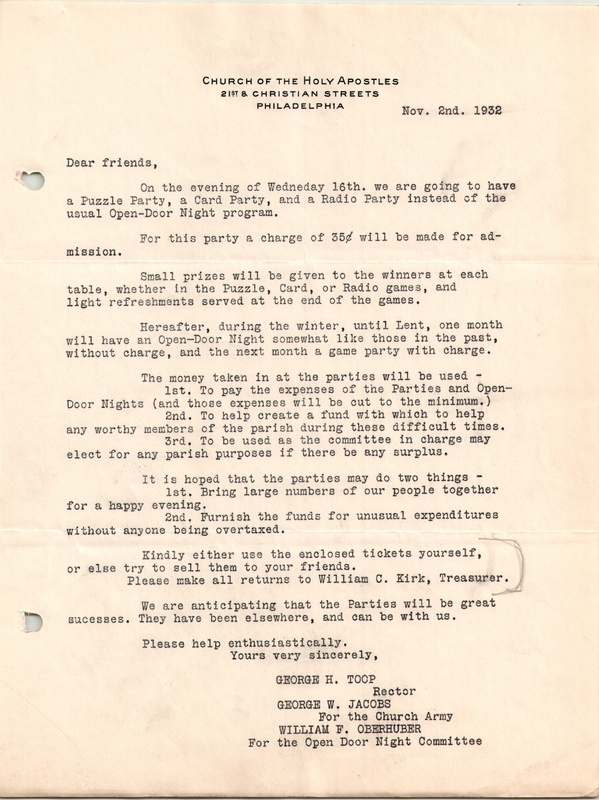 This entry was posted in Church of the Holy Apostles and tagged George H. Toop, South Philadelphia on November 25, 2016 by mjk38. This entry was posted in Church of the Holy Apostles and tagged George H. Toop, South Philadelphia on September 20, 2016 by mjk38. 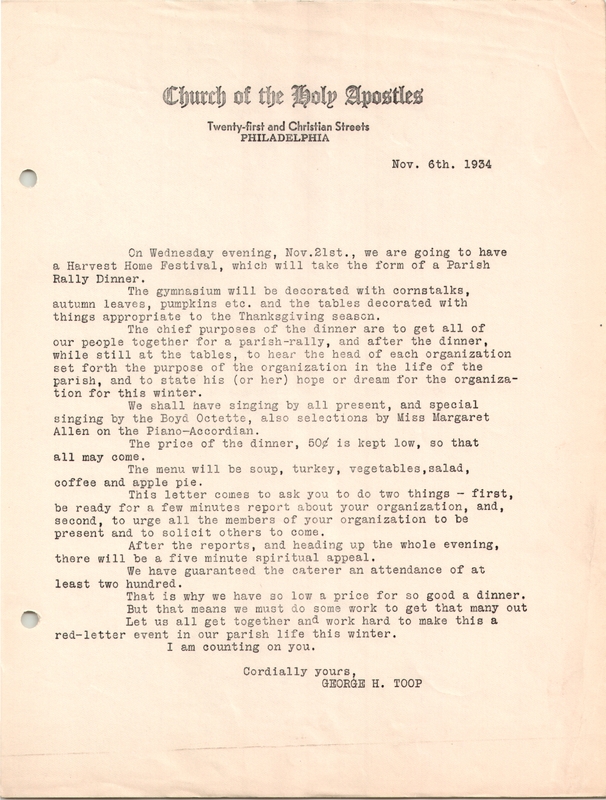 This entry was posted in Church of the Crucifixion, St. Luke's Church (Germantown) and tagged African-Americans, Archdeacon of the Colored Work in the Diocese of Pennsylvania, Carl E. Grammer, Center City, Edgar C. Young, George H. Toop, Henry L. Phillips, Percy R. Stockman, Robert H. Tabb, Thomas J. Garland on June 22, 2016 by mjk38.